Welcome to Mr. Gus's Journal: Are we hoarding grace? 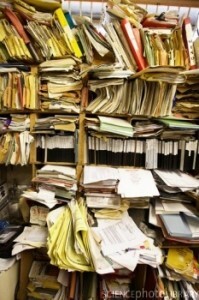 Hoarding can be a compulsive disease that affects many of us. Read more about this in any psychology journal such as (photo credit) PsychCentral. The Pastor then asked us, "How are you holding back, or the hoarding the grace you've been given?" We're not just supposed to give of ourselves, but give the BEST of ourselves. Immediately I thought of the family of my daughter's ex-husband and how close our families once were. We have not spoken in years. I felt a strong sudden need to heal that relationship, and this is the letter I wrote to them. I hope you and your family has been well. I remember way back when we were friends. I miss those days, and it has been on my heart to reach out to you and your wife. First let me say that I deeply regret that our children divorced, but what’s done is done. My daughter is now happy and I hope your son is too. Please know that even though that event and what lead up to it is disappointing, I hold no ill feelings toward your son or family. Marriage is a partnership and both of our children were present in that relationship. I'm sure the lessons they learned will last a lifetime, and will allow them to be better spouses, parents and counselors to their own children someday. You are a dear family that tries to follow the teachings of the Lord, and you and your wife have done your very best to be good, caring, godly parents. You have fine children. As a man and parent I look back and there are things I regret doing and not doing, sins of omission and commission if you will. None of us are immune to that, as less-than-perfect individuals. The Lord has called us all however, to dig deep within ourselves, repent and realize that it is right and good to forgive ourselves and others as our Heavenly Father forgives us, make new choices and press on. God bless you all, and I look forward to seeing you again sometime. Sincerely, and God bless you and your family. My prayer is that we may all be givers and not hoarders of the blessings we've been given.